The oceans are vast, majestic bodies of water that harbor a myriad of life forms. The Antarctic, Arctic, Atlantic, Indian, and Pacific Oceans cover 70% of the Earth’s surface and have 80 to 99% of all life on Earth. Only 5% of our oceans have been explored, so the majority of oceanic life has yet to be discovered. Organisms of all sizes are found throughout the oceans. We will look at examples from diatoms to viper fish to vampire squid to whales. We will examine particular kinds of organisms such as keystone species, bioluminescent animals, and organisms that are able to live in extreme environments. We will explore marine food webs as a way to understand interdependence among the oceans’ organisms. How do environmental conditions influence what happens to the organisms in the oceans? If an animal goes extinct, what will happen to other organisms in a marine food web? These are just a couple of the many questions that we might address. Our adventure will begin with a general overview of the physical, chemical and geological aspects of the oceans and sails on to details on the oceans’ biological inhabitants. We will navigate our way to understanding organism interactions through marine food webs. We will dock at an overall assessment of the oceans-where we have come from and where we are going at present. Students will conduct collaborative research and use software to create marine food webs. Results will be used to produce scientific posters and presentations for a student symposium. Exercises will include microscopy, the game of krill, and learning how to read and evaluate scientific papers. 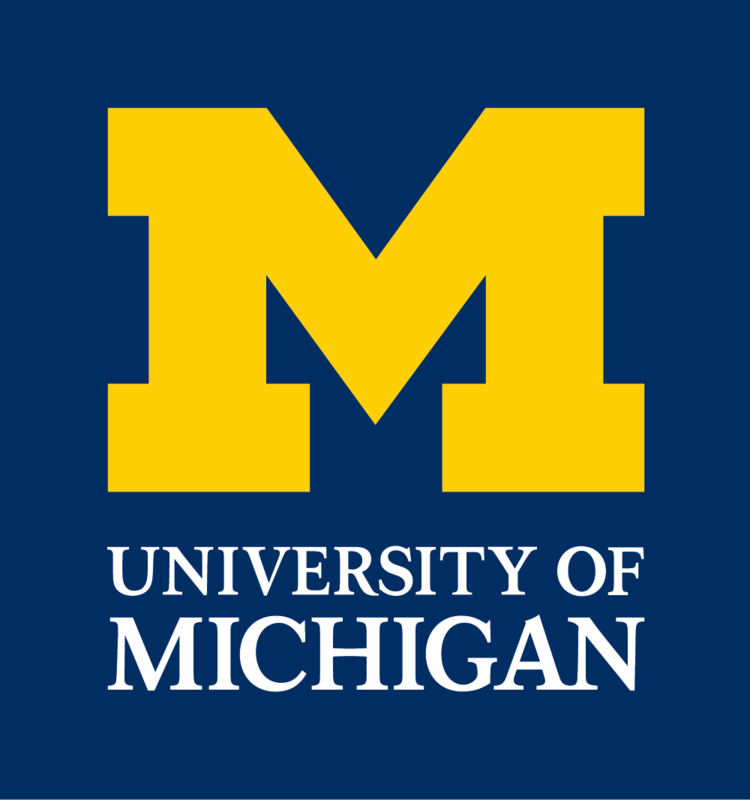 Time permitting, we will visit the University of Michigan Natural History Museum and the Marine Hydrodynamics Laboratory. Prerequisites: having had a science course is helpful, but not necessary. Just bring your interest in learning about our oceans. The Fibonacci numbers are the elements of the sequence 0, 1, 1, 2, 3, 5, 8, 13, 21, 34, 55- where every term is simply the sum of the two preceding terms. This sequence, which was originally proposed as describing the reproduction of rabbits, occurs in astonishingly many contexts in nature. It will be used as a starting point for the exploration of some very substantial mathematical ideas: recursive methods, modular arithmetic, and other ideas from number theory, and even the notion of a limit: the ratios of successive terms (e.g. 13/8, 21/13. 55/34) approach the golden mean, already considered by the ancient Greeks, which yields what may be the most aesthetically pleasing dimensions for a rectangle. As a by-product of our studies, we will be able to explain how people can test certain, very special but immensely large numbers, for being prime. We’ll also consider several games and puzzles whose analysis leads to the same circle of ideas, developing them further and reinforcing the motivations for their study. Mathematical biology is a relatively new area of applied mathematics and is growing with phenomenal speed. For the mathematician, biology opens up new and exciting areas of study, while for the biologist, mathematical modeling offers another powerful research tool commensurate with a new instrumental laboratory technique. Mathematical biologists typically investigate problems in diverse and exciting areas such as the topology of DNA, cell physiology, the study of infectious diseases, population ecology, neuroscience, tumor growth and treatment strategies, and organ development and embryology. This course will be a venture into the field of mathematical modeling in the biomedical sciences. Interactive lectures, group projects, computer demonstrations, and laboratory visits will help introduce some of the fundamentals of mathematical modeling and its usefulness in biology, physiology and medicine. For example, the cell division cycle is a sequence of regulated events which describes the passage of a single cell from birth to division. There is an elaborate cascade of molecular interactions that function as the mitotic clock and ensures that the sequential changes that take place in a dividing cell take place on schedule. What happens when the mitotic clock speeds up or simply stops ticking? These kinds of malfunctions can lead to cancer and mathematical modeling can help predict under what conditions a small population of cells with a compromised mitotic clock can result in a fully developed tumor. This course will study many interesting problems in cell biology, physiology, and immunology. Ever since humans first developed the ability to write there has been an ongoing battle between codemakers and codebreakers. The armies of ancient Sparta and Rome both used ciphers to relay secret battle plans, and the ancient Mesopotamians developed encryption techniques in order to protect commercially valuable techniques for glazing pottery. From a modern perspective, the codes used by the ancients are laughably insecure. Indeed, much of what made them secure was that they were being used during a period when most people were illiterate. Because of the advent of computers, codemakers today need to use far more sophisticated techniques in order to create secure codes. Many of these techniques are mathematical in nature. One of the cryptography systems that we will discuss in this class is called RSA and is used to ensure the security of your credit card information when you make a purchase on the internet. We’ll see that at its heart, what makes the RSA system secure is that it is very hard to factor a big number. The numbers used in the RSA system are actually so big that factoring them would take you millions of years. Even if you were using a supercomputer! This class will give an historical introduction to the mathematics of cryptography, beginning with codes used by the Roman legions and building up to the RSA cryptography system discussed above. What will really make the class unique is that there won’t be any lecturing. You will discover the mathematics of cryptography by working on problems and sharing your solutions with your classmates.